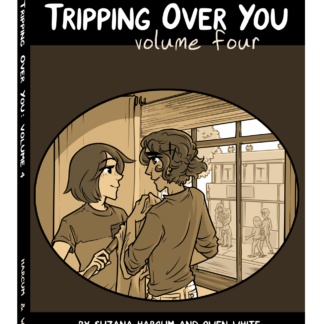 The digital ebook edition of Tripping Over You, Volume Four. 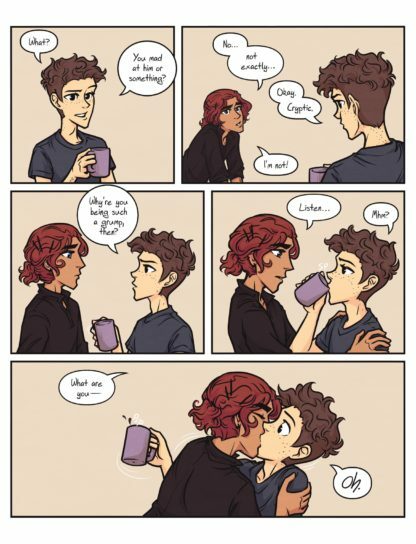 This PDF file contains chapters eleven through fourteen of the comic— including the intermission mini-comics. 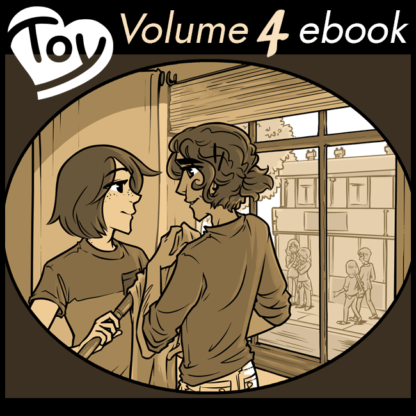 It also includes 10 pages of comics exclusive to copies of TOY: Volume 4. 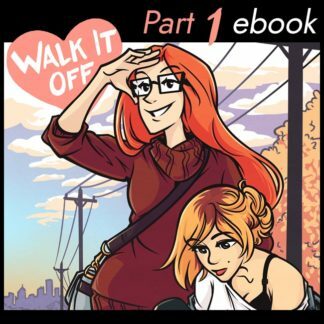 This file is 169 pages of full color, formatted to be friendly for mobile devices and tablets.